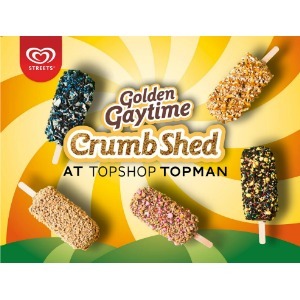 In celebration of the iconic Streets Gaytime and in particular its iconic crumb coating, Streets are opening their pop-up ‘Crumb Sheds’ at TOPSHOP TOPMAN stores in Sydney (Wednesday 18 January 2017) and Melbourne (Friday 20 January 2017) for a short time only – and if the lines first thing this morning at Sydney are any indication you had better get in quickly. 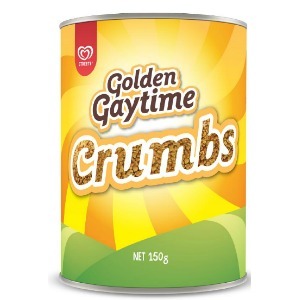 The Crumb Sheds are selling 5 delectable Bespoke Gaytime crumb creation ice creams – all handmade to order with classic Gaytime ice cream and chocolate by “Crumb Technicians” – for $6 each. 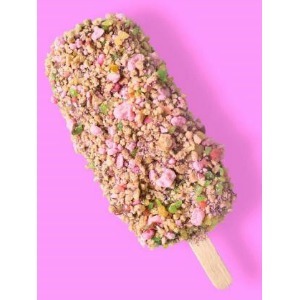 Unicorn Breath – vanilla crumb, musk sticks, strawberry hard candy, popping candy, edible glitter. 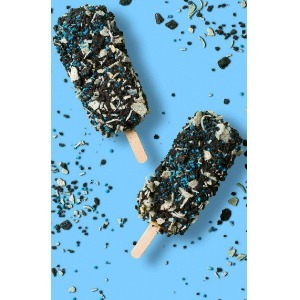 Crumb Choc Millionaire – chocolate crumb, smashed potato crisps, desiccated coconut, 100s & 1000s, edible glitter. 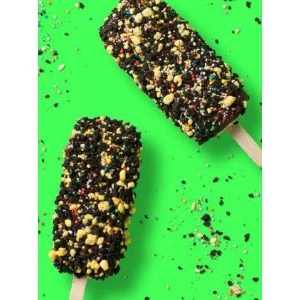 Chocopalooza – chocolate crumb, lolly bananas, 100s & 1000s. 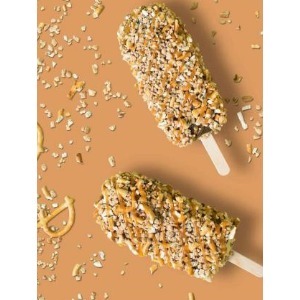 Golden Chief’s Salty Gaytime – vanilla crumb, pretzel bits, salted caramel drizzle (by Gaytime ‘Crumbassador’, Jesse James McElroy). 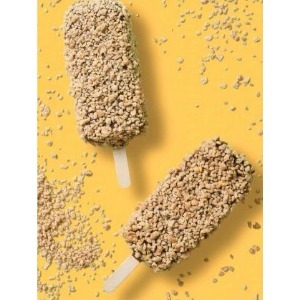 The OG-G – with even more vanilla crumb (the original and the best handcrafted to perfection).